Singapore Sports Hub, OCBC Lounge, Thursday, October 9, 2014 — It was a mark of the occasion when, while interviewing 71-year-old Mr C Kunalan (once Singapore’s fastest man), Mr Tan Thuan Heng, 66, a former national swimmer and the first winner of the Sportsman of the Year award in 1968, came by and enquired the whereabouts of 1960 Olympic weightlifting silver medallist, Mr Tan Howe Liang, 81. Mr Kunalan, Mr Tan Thuan Heng, and Mr Tan Howe Liang are all pioneers* of Singapore sports. 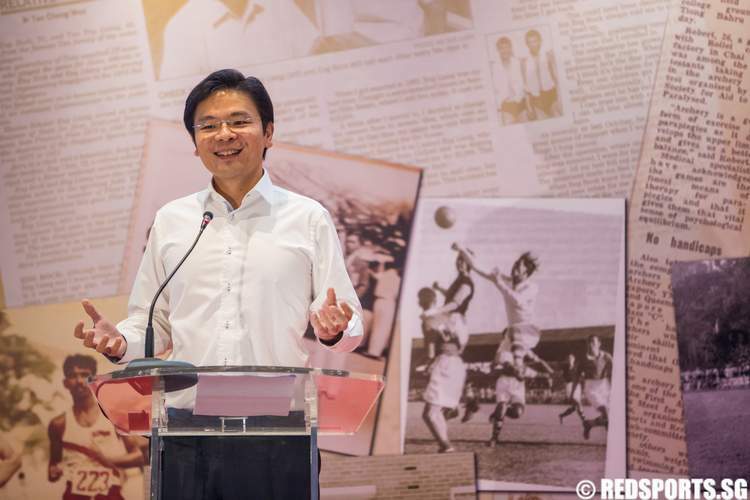 Together with over 200 of their ilk who have left indelible footprints in Singapore’s sporting history, they, bar the elder Mr Tan, whose aching knees, according to Mr Kunalan, were bothering him, attended a dinner that was held in their honour. 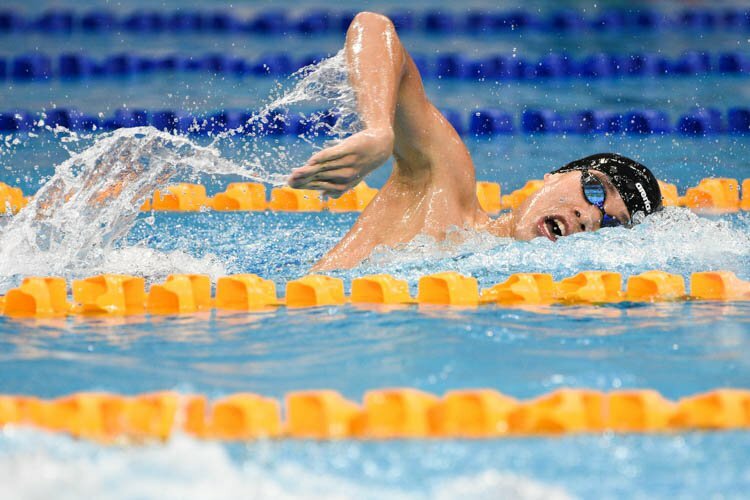 The Singapore Youth Olympic Museum and Singapore Sports Museum were also officially opened the same evening. 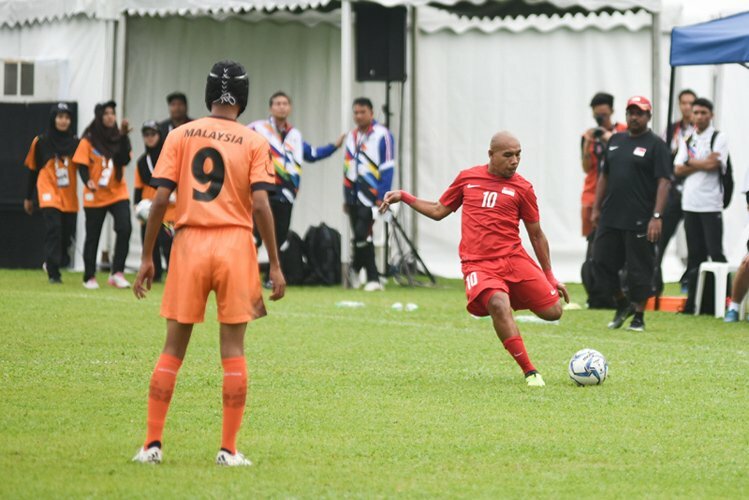 Amongst them were luminaries such as 77-year-old Majid Arif (the only Singapore footballer to have played for the Asian All-Stars team in 1966 and one of only two Singaporeans — the other being Fandi Ahmad — to be nominated for the Asia’s Footballer of the Century Award), the 85-year-old founding lady of Singapore netball, Mrs Tan Yoon Yin, and the oldest sports pioneer in attendance, 96-year-old Gerard Clarke, a former hockey and cricket player. Mr Kunalan had been the man charged with the responsibility of bringing them all together. “My job was to find the pioneers so, a few months ago, I started, first through the National Sports Associations then through the (former) sportsmen themselves. But I’m afraid that there will be people I’ve missed out,” said the former 100m sprinter, whose national record of 10.38 seconds had stood for 33 years before being broken in 2001. For those who made it to the event, it was obvious they found joy from seeing and recognising old teammates and friends from other sports. “Even though we are from different sports, when we compete with other countries (at major Games), we all go together. But, after that, when we come back, we go our separate ways,” said former national hurdler Mr Osman Merican, whose 110m hurdles national record set in 1966 stood for 42 years. “But this gathering will recall all the times (they had). We should have this gathering occasionally so we know who is around because, in the next five years, a few of us would be gone,” Mr Osman said, then heartily laughed. One man who has seen many of these pioneer athletes in their element in his course of work is veteran commentator and radio deejay, Mr Brian Richmond, who had also captained the Singapore football team to a fourth-placed finish at the 1967 Asian Football Confederation (AFC) Youth Championship (now known as the AFC Under-19 Championship). A dinner and a reunion were not all that was in store for the sports pioneers. 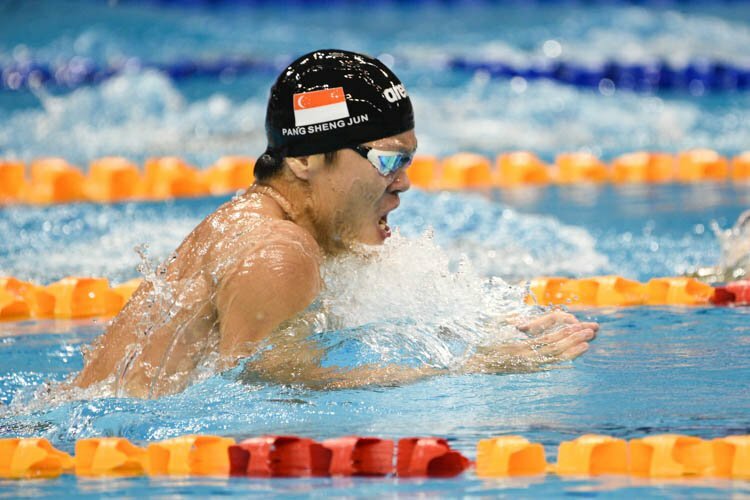 Minister for Culture, Community and Youth Mr Lawrence Wong announced that all pioneer athletes, officials, and coaches who have been a part of Team Singapore at major Games will be offered free lifetime access to ActiveSG swimming pools and gyms. 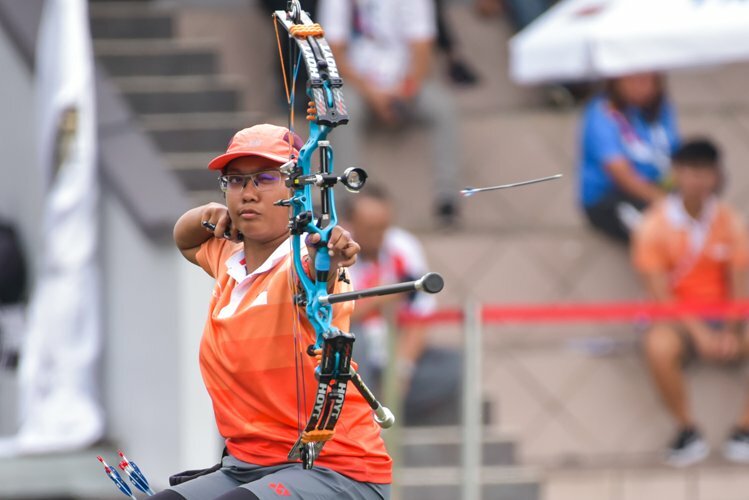 They will also be invited to major sporting events and programmes at the Singapore Sports Hub, such as the Southeast Asian (SEA) Games and ASEAN Para Games next year. 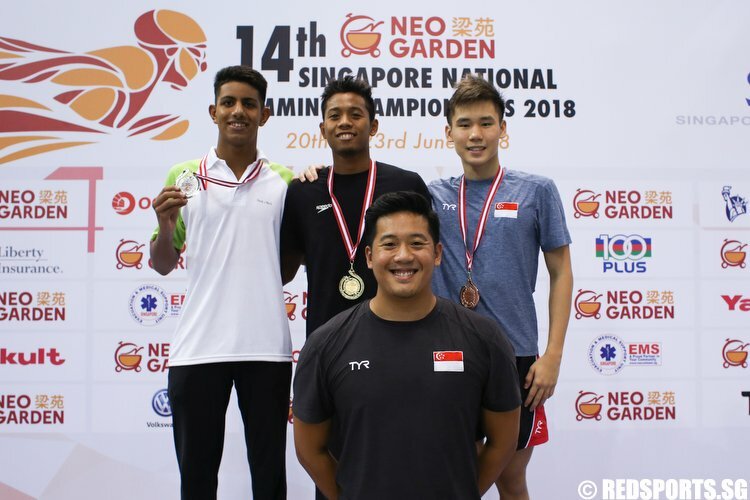 While those benefits help keep the sports pioneers physically fit and engaged with Singapore’s sports scene, what they, in turn, will keep with them for as long as their memories allow are their sporting experiences. 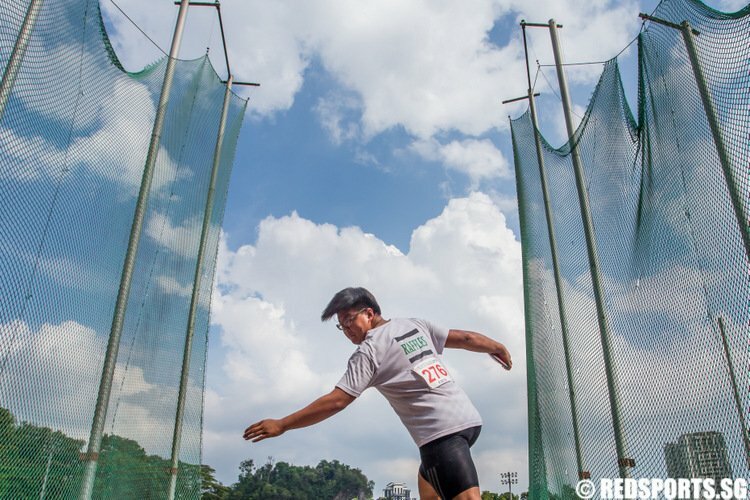 For Colin Schooling, it will be the catch he made in centre field when he represented Singapore against the hosts at the 1968 Asian Men’s Softball Championship in Manila, Philippines. “I caught it on a dive and it was phenomenal. If I missed that catch, that guy would have scored many runs. 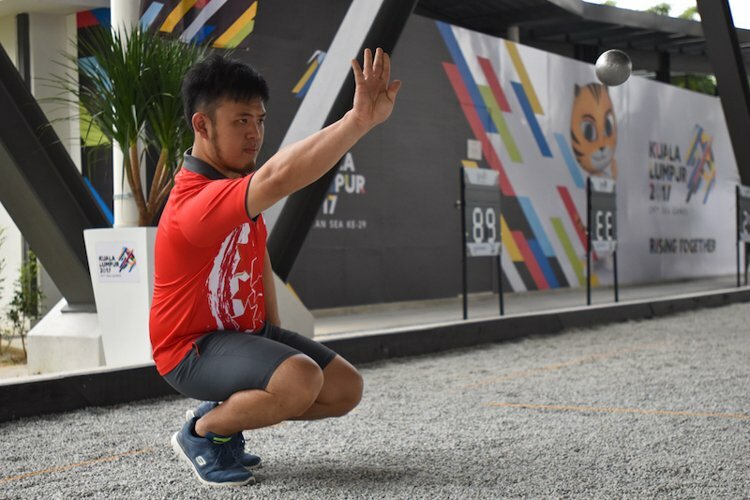 Sometimes, when I see the professionals doing the catches in baseball and softball in the United States, I tell my wife I’ve done that before, you know?” said the man whose 19-year-old son, Joseph, is now Singapore’s top swimmer and a medallist at the SEA Games, Asian Games, and Commonwealth Games. Indubitably, these sports pioneers have each toiled in their own ways to achieve sporting success. 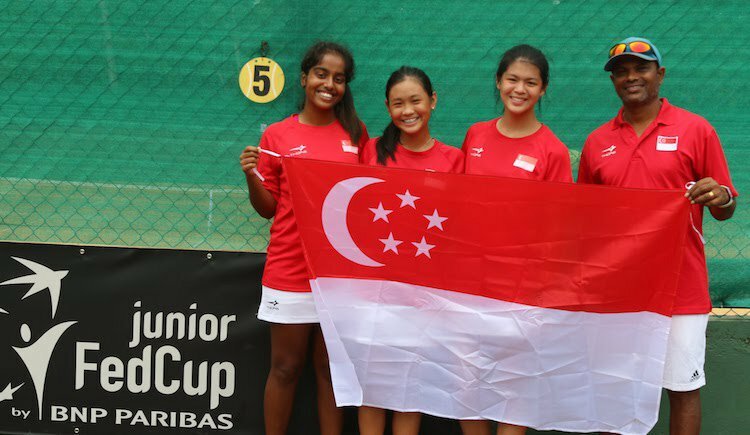 In the process, they have raised Singapore’s profile in the international arena and paved the way for future generations to outdo them. 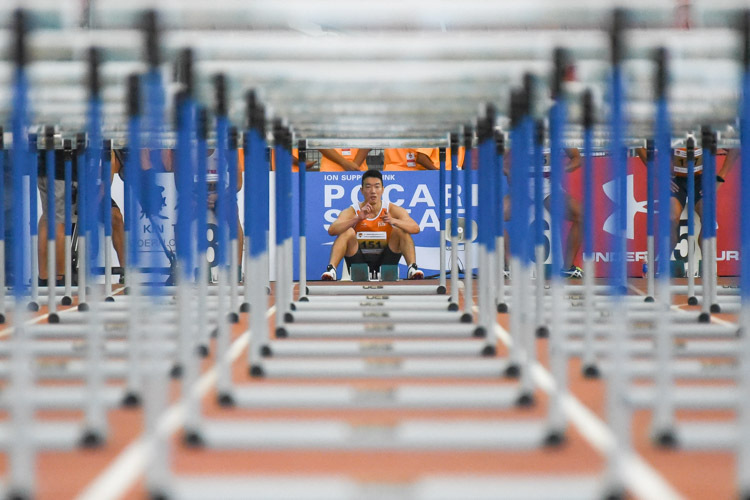 *Our sports pioneers are members of the pioneer generation who had represented Singapore at any of the major Games (Southeast Asian Games, Commonwealth Games, Asian Games, and Olympic Games), either as athletes, officials, or coaches.